MRI scanner inspires composers Jump to media player Composers Mira Calix and Anna Meredith have come up with pieces of music which are inspired by the sounds of a MRI scanner. Beatboxer sees his 'big tongue' Jump to media player Brain scans of a professional beatboxer suggest the skill is an expert behaviour. Composers Mira Calix and Anna Meredith have come up with pieces of music which are inspired by the sounds of a MRI (magnetic resonance imaging) scanner. Their compositions are performed by members of the Aurora Orchestra and blend acoustic and electronic sounds. 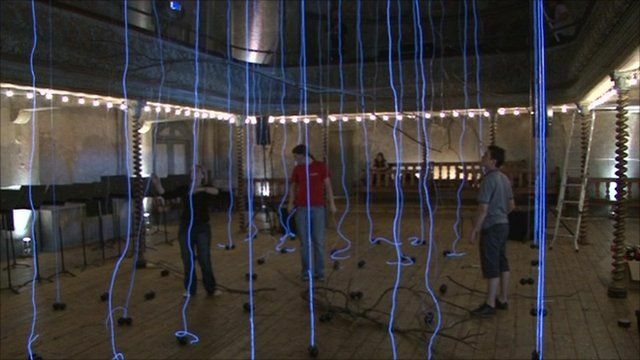 To accompany the music, art and design studio Loop.ph transformed Wilton's Music Hall in London with a multimedia installation called Neural Nest. 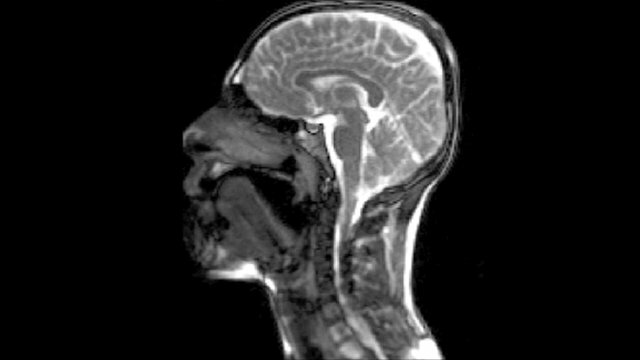 MRI scans use magnetic fields and radio waves to produce a image of the inside of the body.